There are several elements that must be in place to form a hygiene team that is profitable as well as effective, and there are no shortcuts here. Like a fad diet, the quick fixes never last. It is only a true behavioral and thought process shift that will result in lasting change. You can’t cut corners to deliver quality care. 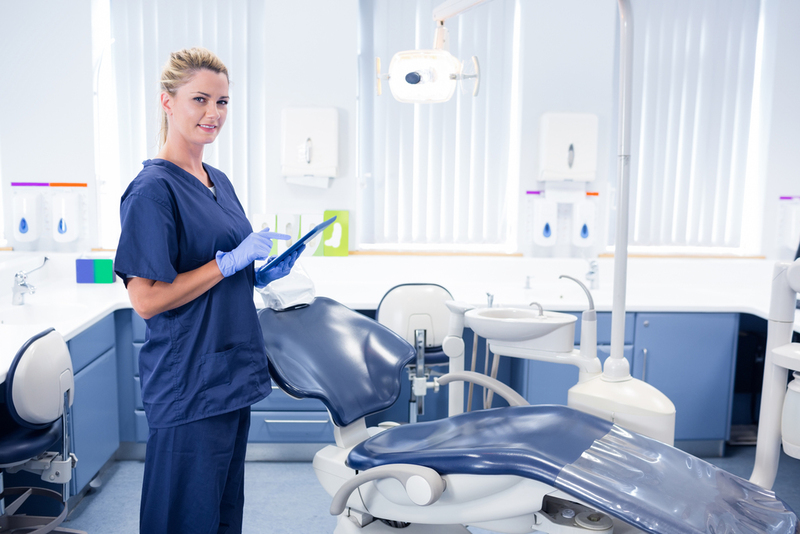 Creating an environment in which hygienists have enough time to assess and perform high level care is crucial. This is the first step. Dentists are business owners, and increasing appointment time is often a leap of faith, but it doesn’t have to be. It is the most misunderstood concept in restructuring a hygiene department: cramming too many patients in the schedule is a common knee-jerk reaction to low production and poor use of appointment time. Sufficient time is necessary for the hygienist to complete a thorough exam and work with the doctor to determine the appropriate course of treatment, but without a clear plan to increase periodontal care and a firm commitment from hygienists to utilize this resource, increasing appointment time alone will not create profitability. Quality care begins with the hygiene exam. In order to deliver optimal care, a complete and thorough exam must take place at every hygiene visit. This portion of the appointment should take more time than any other. The majority of the hygiene visit should be spent observing and collecting data. Once that is complete, the preventive or therapeutic treatment can begin, but not a minute sooner. The ultimate hygiene exam includes a review of the medical and dental history, oral cancer screening, periodontal charting as well as an initial analysis of the teeth and existing restorations. 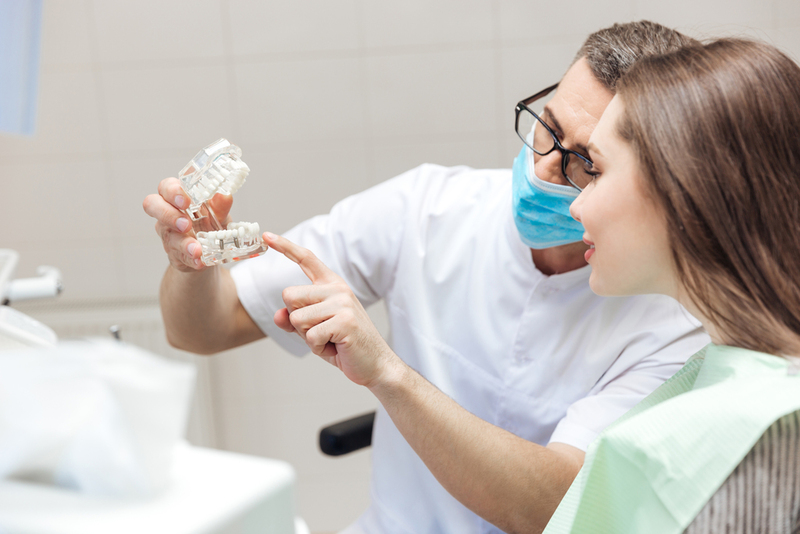 With all the information, the hygienist can now determine what information to pass along to the dentist so together they can create a plan for care. As a consultant, the most common reason I see for low productivity in the hygiene department is a low level of periodontal treatment. A large percentage of dental practices around the country are delivering periodontal care at only 5% of their hygiene procedures. The first step to increasing care in this area is getting committed to quality care. The next step is to develop a user-friendly periodontal treatment protocol. With current research continually revealing the undeniable connection between periodontal disease and overall health, it is imperative as health care professionals that we take this seriously. Perio therapy is also the primary high production item for hygiene. Similar to crown and bridge for the dentist, without a healthy percentage of perio care, patients are not healthy and production and growth are stagnant. Active periodontal therapy turns into periodontal maintenance and the trend continues. Priority care blocks in the schedule are an effective way to secure productive days and serve patients in a timely manner. Taking perio from 5% to 10% can be accomplished by adding only two quads of scaling and root planing and two periodontal maintenance procedures each month, resulting in a $6000-$8000 annual production increase in hygiene. To determine your perio percentage, please feel free to download our Perio Percentage Calculator tool at www.inspiredhygiene.com/periotool. A steady flow of new patients is essential for the health of any practice. With regard to the hygiene department, new patients ensure that there is adequate demand for hygiene care, especially periodontal therapy. Chances are good that many patients will come to your practice from another practice that is in the 5% perio group. This is your chance to shine. A new patient appointment that includes a truly comprehensive exam is an opportunity to “wow” them by demonstrating that the primary interest of your team is their health. Presenting evidence in the form of digital radiographs, computerized periodontal charting and multimedia patient education works wonders for enrollment into optimal care. Think about what it takes for your patients to be healthy at home. How can they maintain the treatment they receive between visits? Offering take-home fluoride, whitening, periodontal care products and power toothbrushes is a great way to send patients home with the confidence that you care about them. It sends a signal that their dental team supports them even when they are at home. In fact, a 2007 study showed that nearly 70% of patients interviewed feel that dentists that offer power brushes in their practice are more up-to-date with clinical dental practices. As part of the hygiene exam, ask patients how they like the products they are using and reinforce their importance. Cosmetic polishing is another service that can be incorporated into the hygiene visit as a no charge, added-value service for patients with porcelain and composite dentistry. Be frank about the investment patients make in themselves with dental care and how using the right tools at home is the perfect way to support their investment of time and money. A single hygienist can easily add as much as $8000-10,000 to net hygiene production by enrolling patients into a fluoride or perio homecare program. These are the basic elements of quality preventive and therapeutic care. Remember, there are no short cuts. Productive, thriving hygiene teams are a direct result of a strong commitment to high quality care. Focus on what it takes to keep patients healthy and the rest will follow!